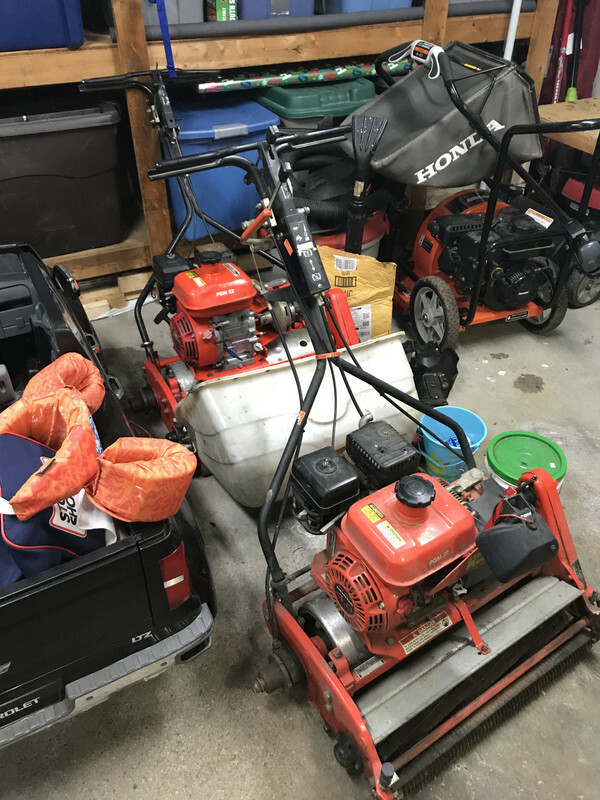 I picked up a Jacobsen PGM 22 on Craigslist a while back for $100. I was also donated another earlier model PGM at the price of picking it up. 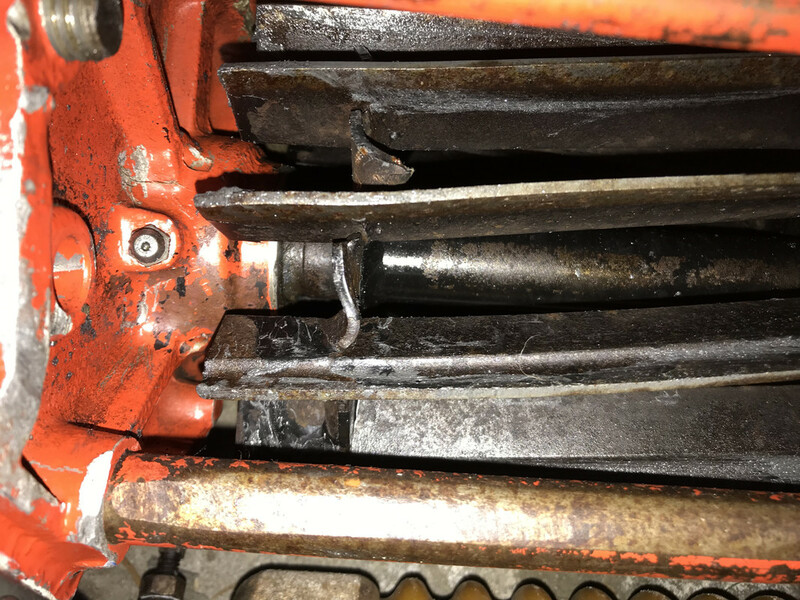 The Craigslist PGM had good spark, 90psi compression but is blowing smoke. 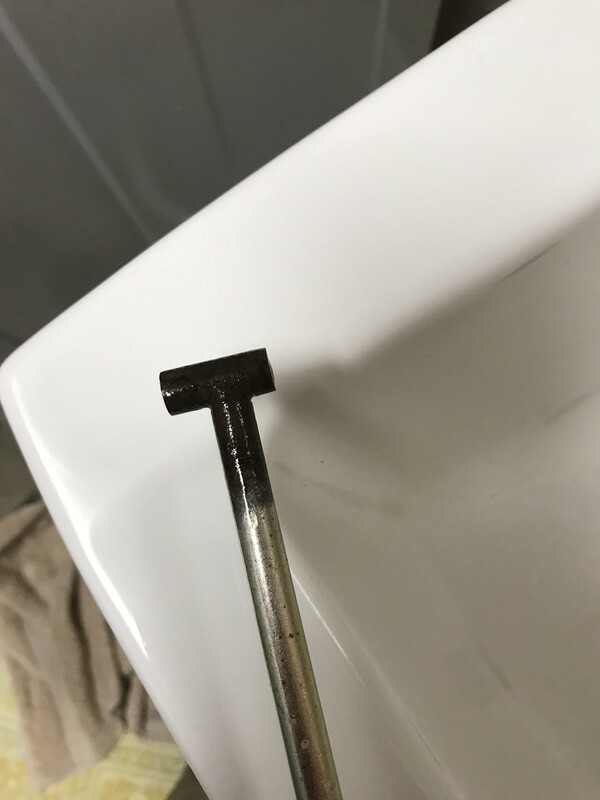 First I checked the valve gaps and they were within tolerance. My first thought was that the oil was over filled. I changed the oil and kept it under filled and then cleaned the valve cover and valves of excess oil. 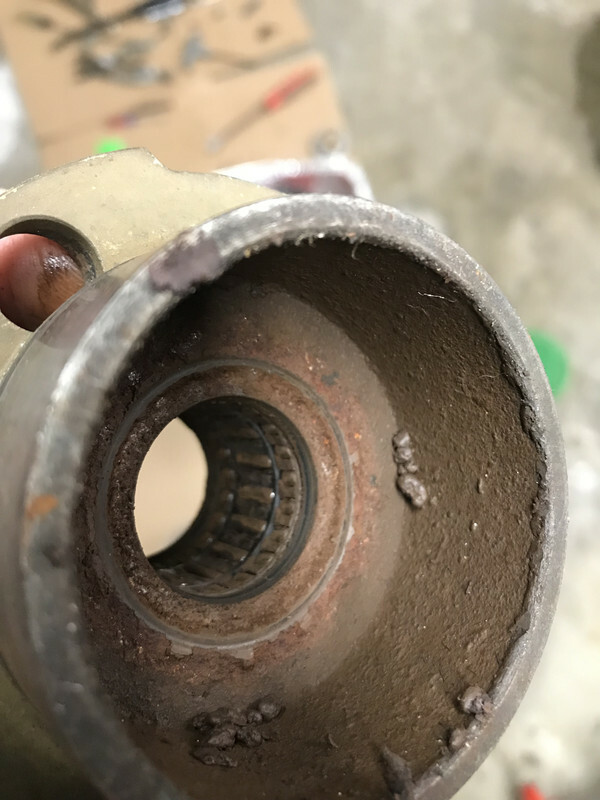 The motor still smoked after a minute of running. 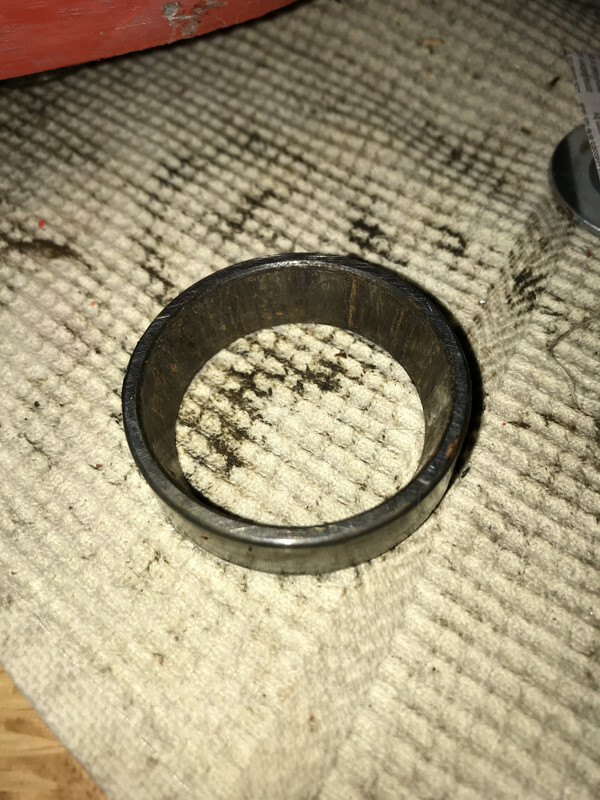 My second thought is that the rings are junk and the bore might need work. This motor will be thrown to the side for another winter project. 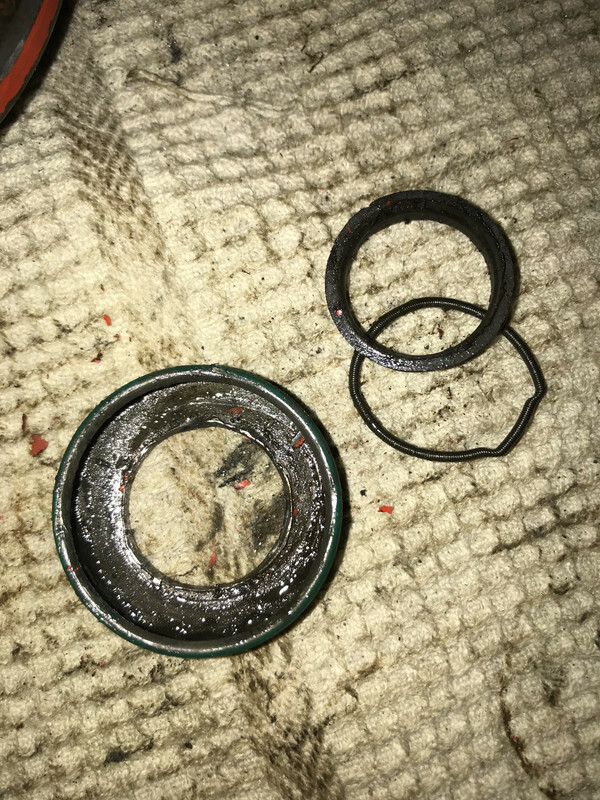 Once I freed up the reel I found that the reel was also junk. 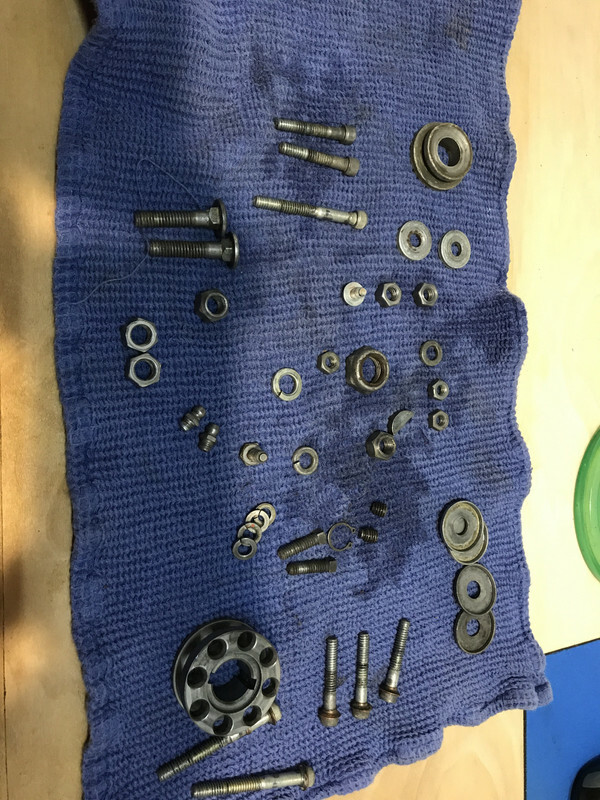 The donated PGM had good spark, 98psi compression and the valves were with tolerance and only has a light dusting of oil under the valve cover. This was looking good. 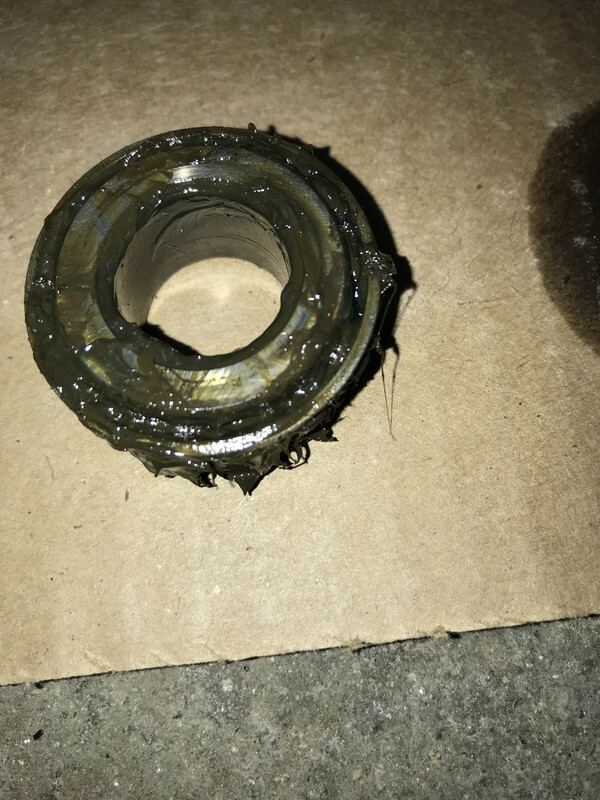 This engine did not smoke and sounded fine running at idle and full throttle. This motor got new oil, spark plug and a new filter. However, the reel looks close to no life left. I still need to measure the OD to confirm. 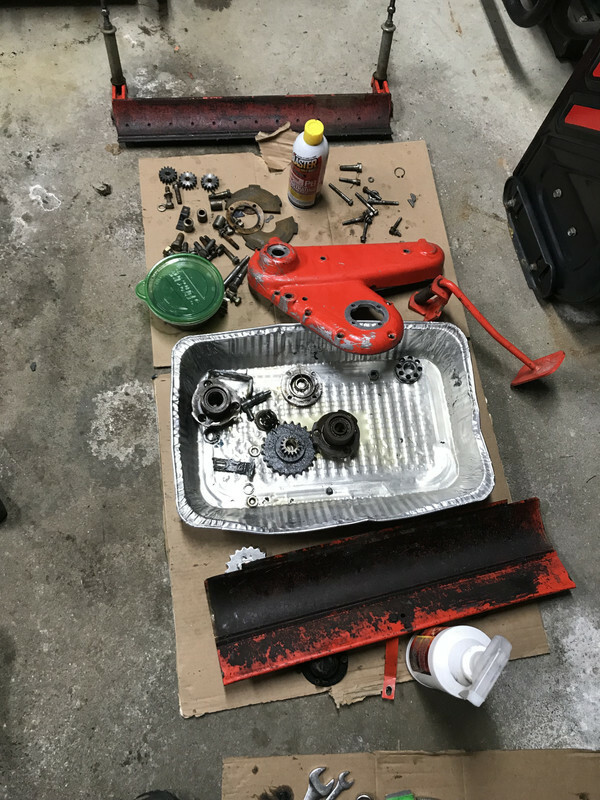 In the end, I have one good motor and two machines so I decided to open up both machines and compare the parts inside. I first started with the Craigslist PGM. 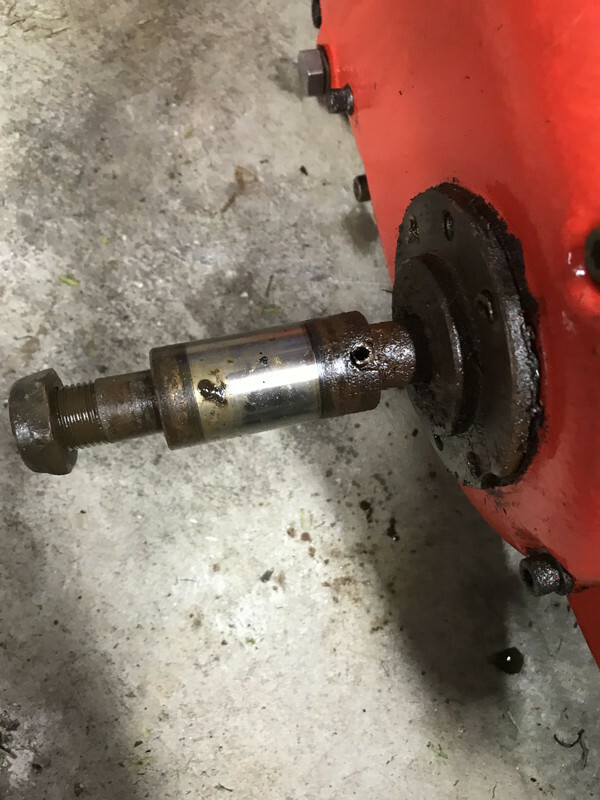 What I found was not the 140W gear oil I was expecting, but tons of grease. This wasn’t a bad thing and might have saved the gears and chains from excess damage from heat if it was used this was. 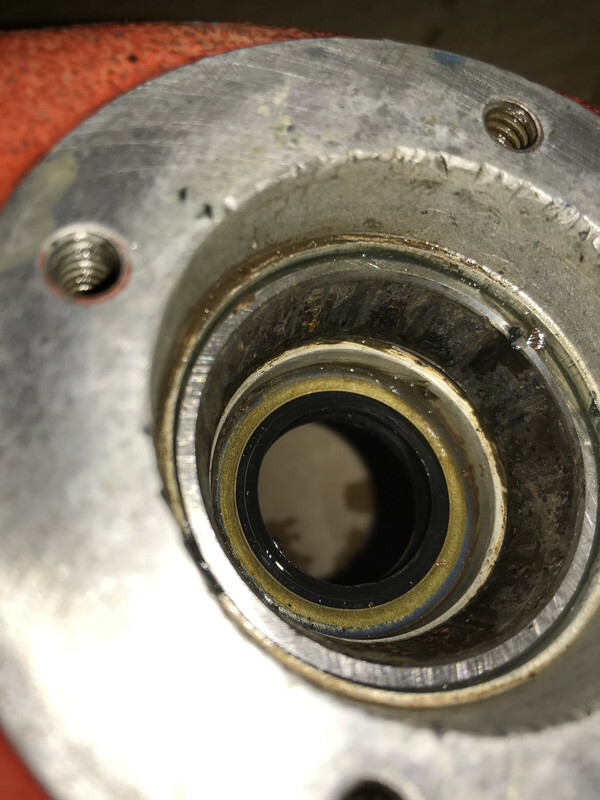 The first bearing I removed on the drum shaft had a dead spot in it but spun nice except for that one spot and the oil seal is toast. 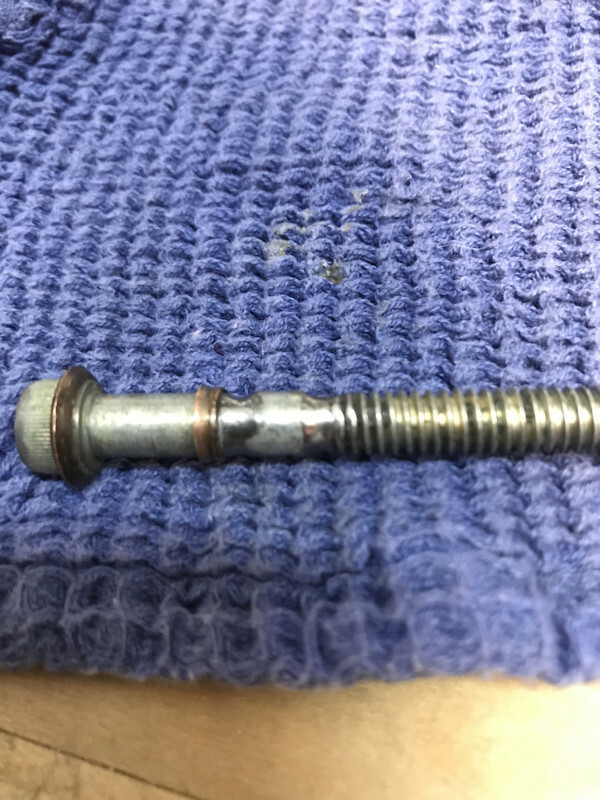 Love these mower restoration threads. 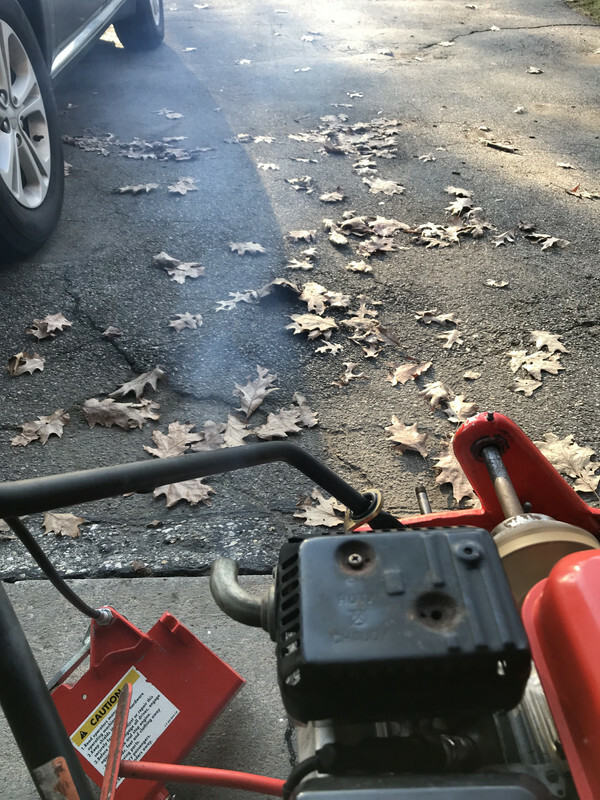 If the muffler has oil in it from the mower being stored at a weird angle, it will take a good long time to burn off. 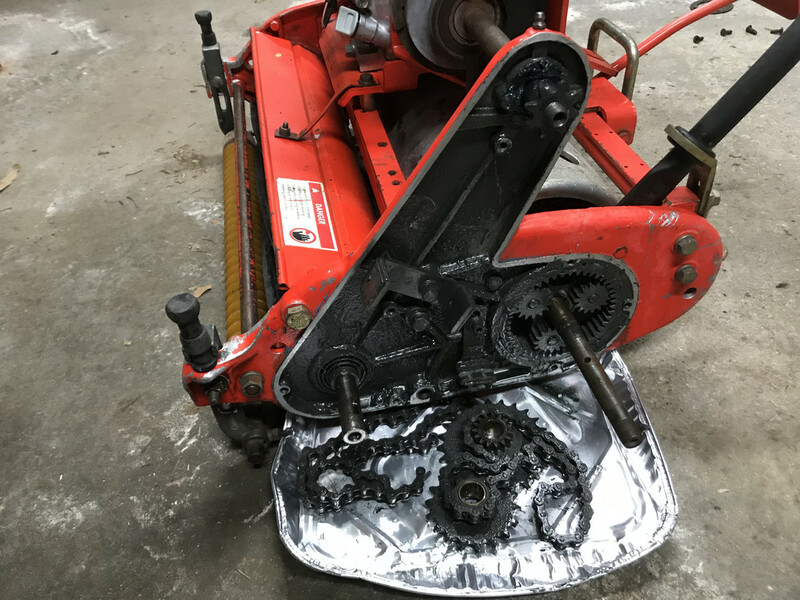 I had some time last night to look at the donated mower. 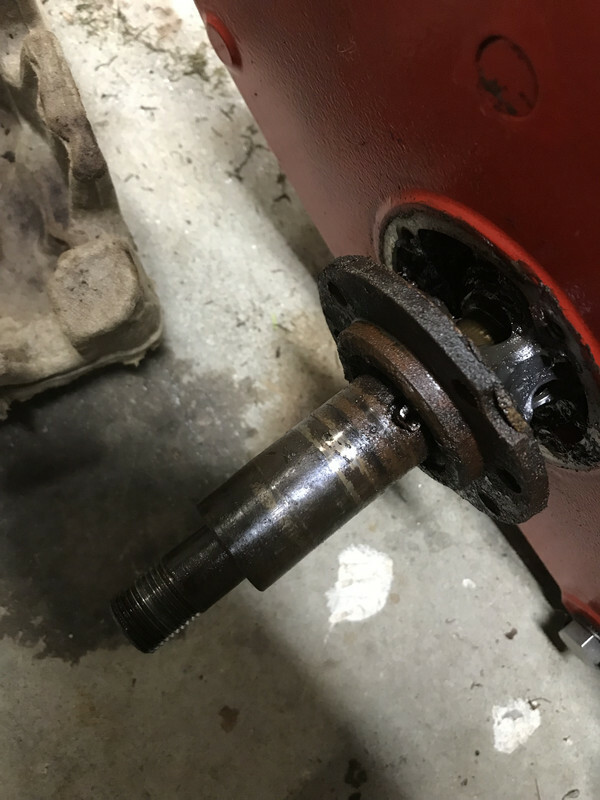 It came with travel wheels but the wheel hub bearings didn’t look to good. You can see on the sleeves there is wear heat markings. 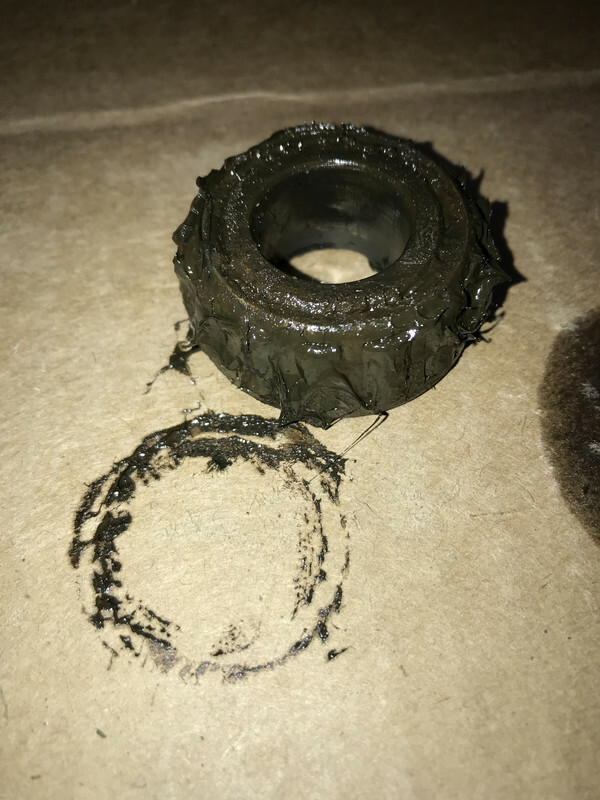 This is a good sign of bad bearings. 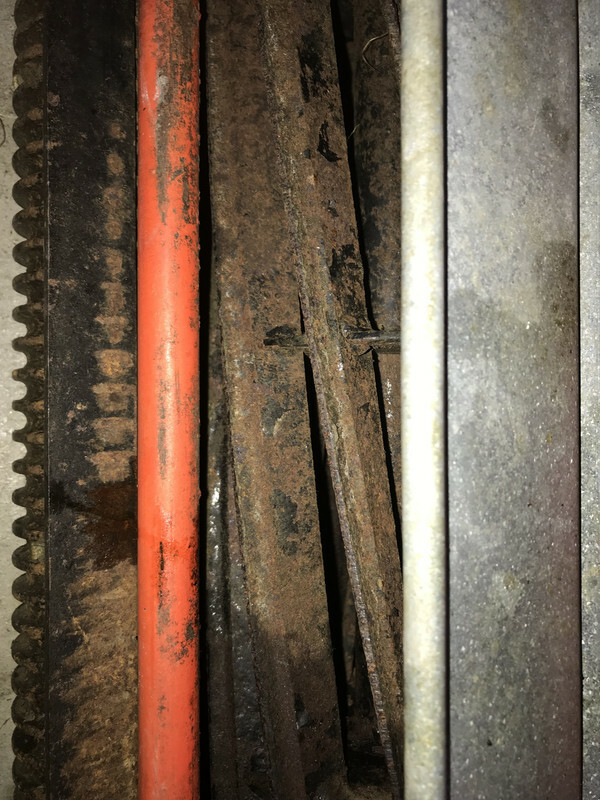 The sleeves and roll pins are also rusted tight on the shaft. I’ll put some heat to them this weekend and dive in deeper. 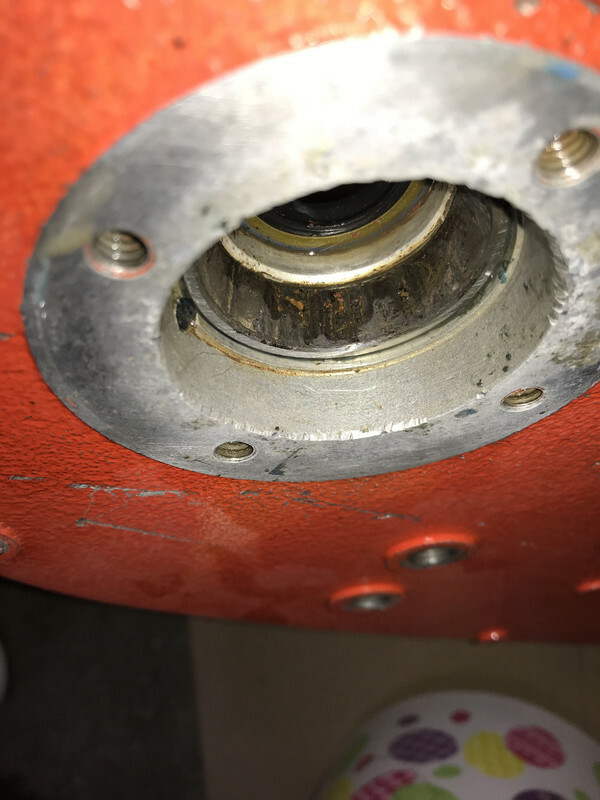 I did move the drum bearing housing and it didn’t look promising for the bearings as water started to pour out. Last edited by Jdaniel611 on Thu Dec 06, 2018 8:17 am, edited 1 time in total. @MasterMech I took your suggestion and swapped mufflers. It started up smoking but quickly disappeared. You might be right. 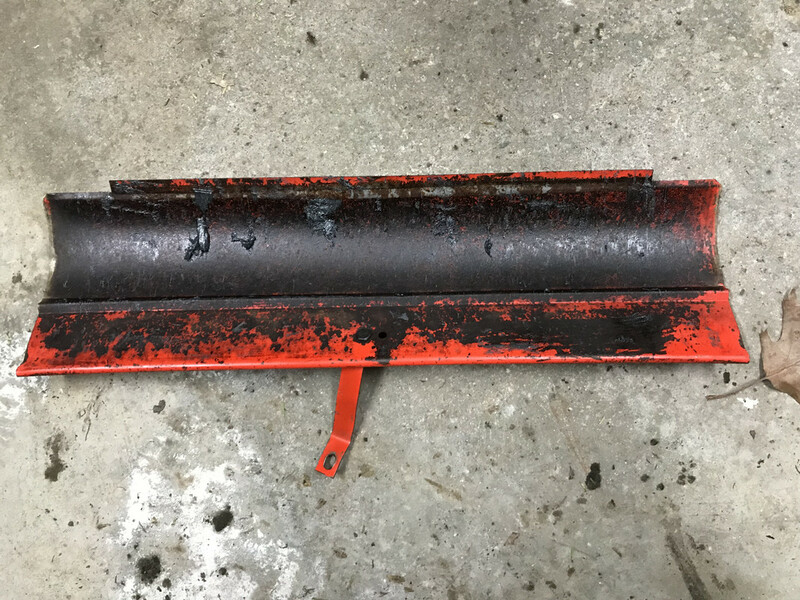 The muffler could be oil soaked and just needs to burn off or in my case just swap it out with a new one. The Honda GX series motors parts are fairly cheap and the motor is easy to work on since there are so many copy cat motors on the market. Propane torch will cook out excess oil from the other muffler. @MasterMech I was thinking about it like burning off two stoke mufflers and carbon build up. I disassembled the Craigslist PGM more tonight for about an hour. 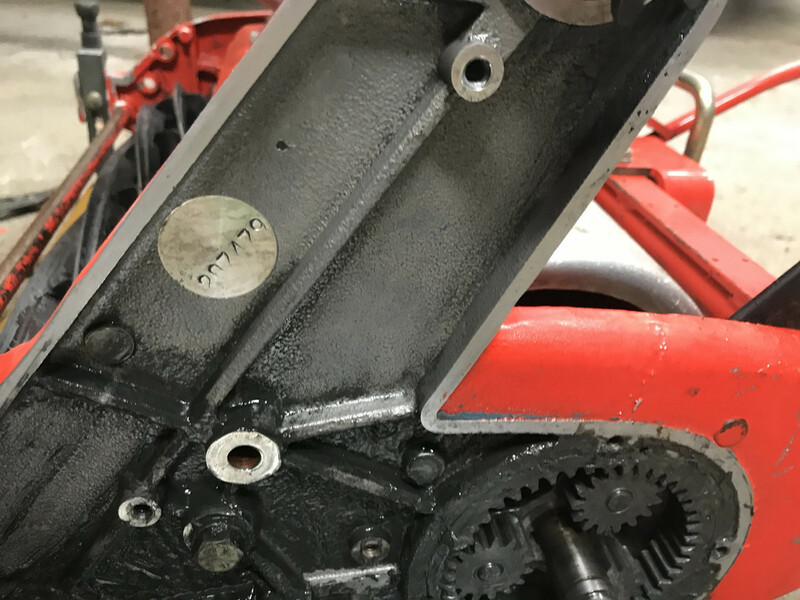 Pulled the motor, handles, clutch box and more. 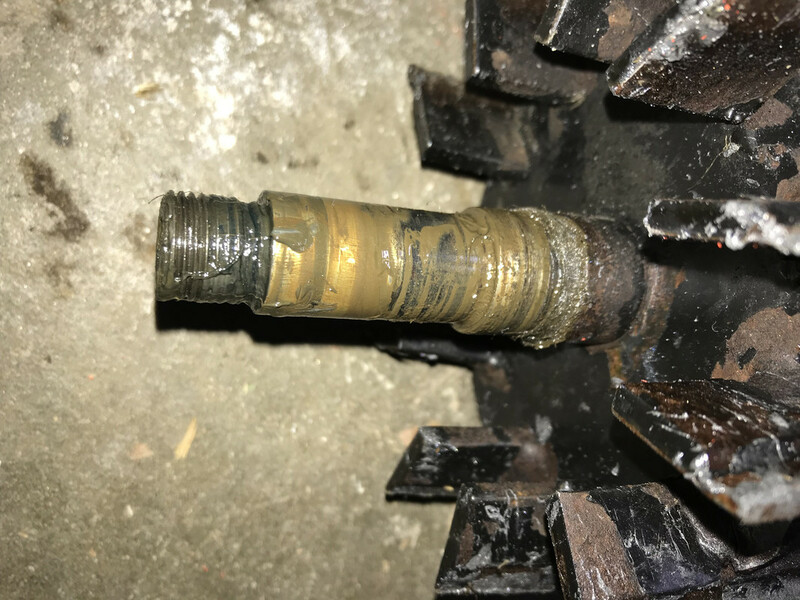 Found left over back lapping grease. I normally used LA Awesome yellow concentrated cleaner watered down to remove grease. 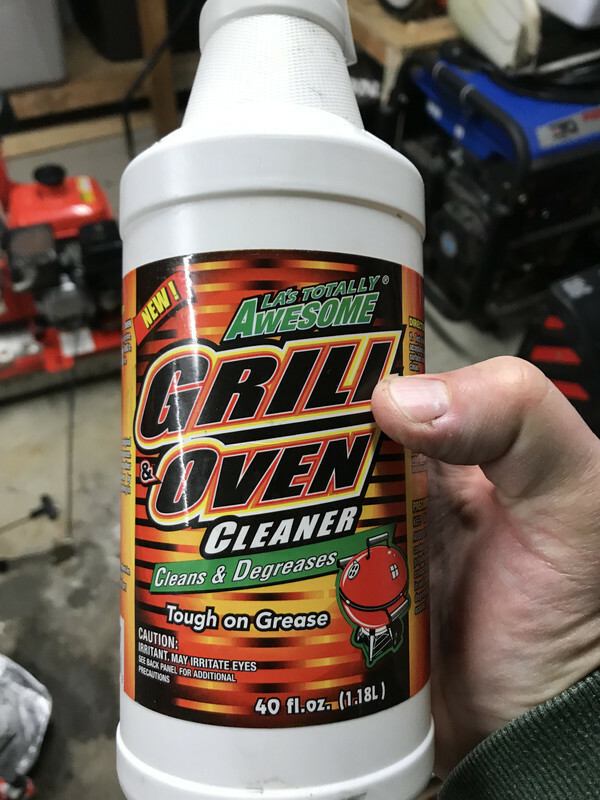 But I found this version at the dollar store a few months back and it works really well at breaking up grease and cleaning up my smoked up stainless grill. My guess it’s the same formula watered down and in an easy spray bottle. Well worth the dollar. 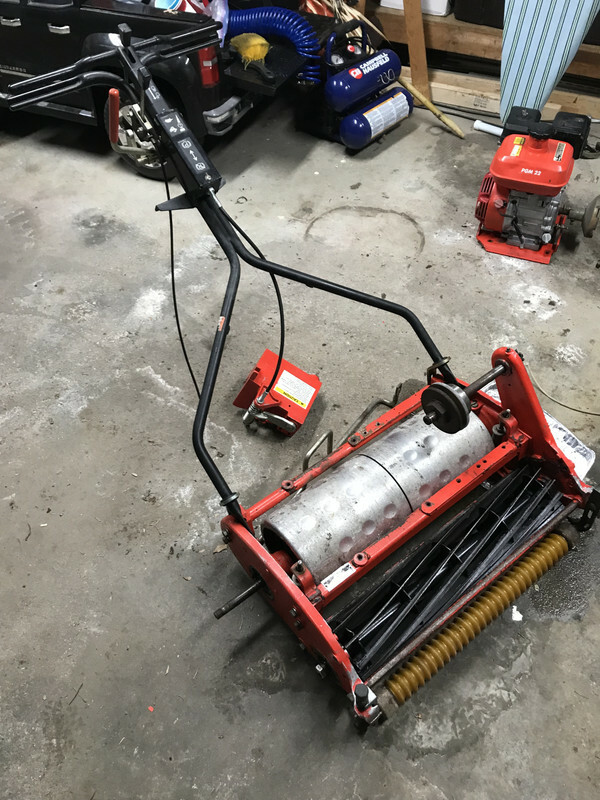 With the way the skeeters can get around here in the summer evenings, I’m not so sure it wouldn’t be a good idea to add a tablespoon of heavy oil to the muffler before each mow. 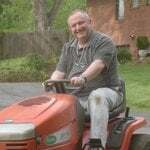 I spent a small amount of time again on the mower the other day. 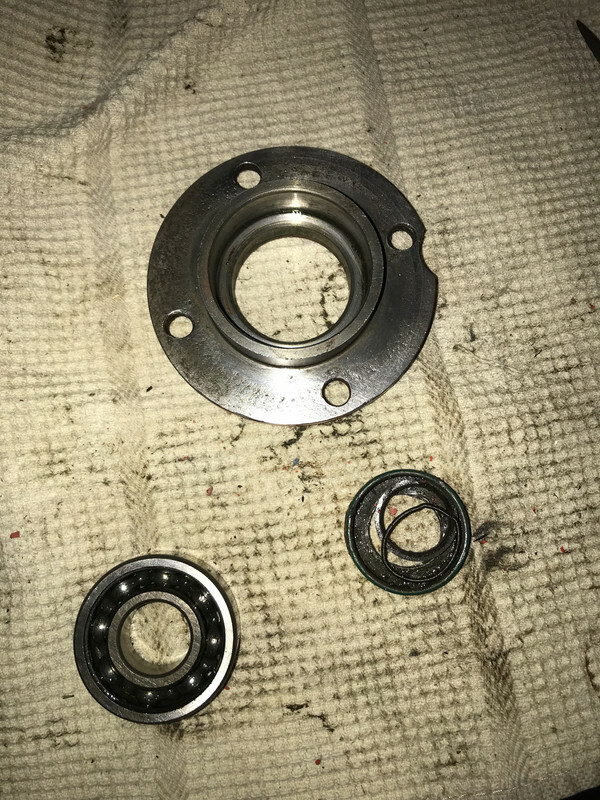 I removed the side plate and found that the reel roller bearing must have seen water as the grease was brown and the outer race ring is burnt up and has burs. 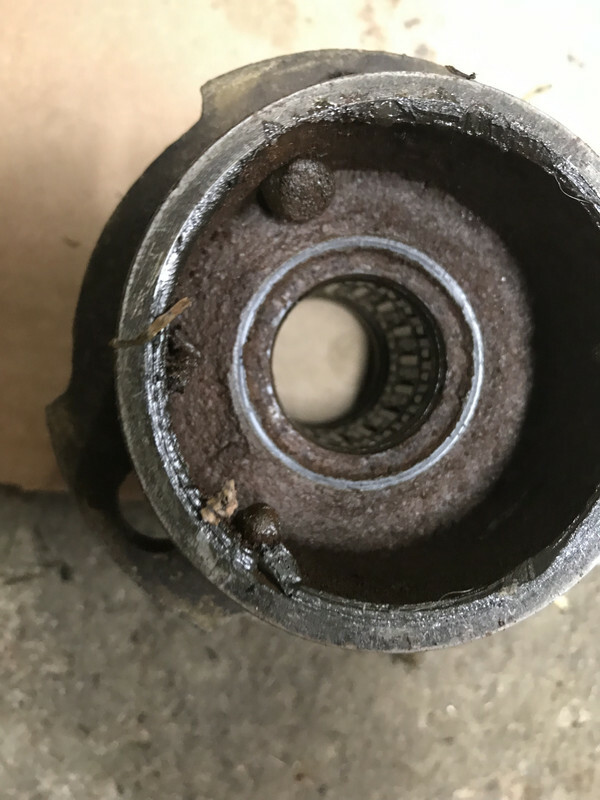 This will need to be replaced since angle bearings are done in sets. 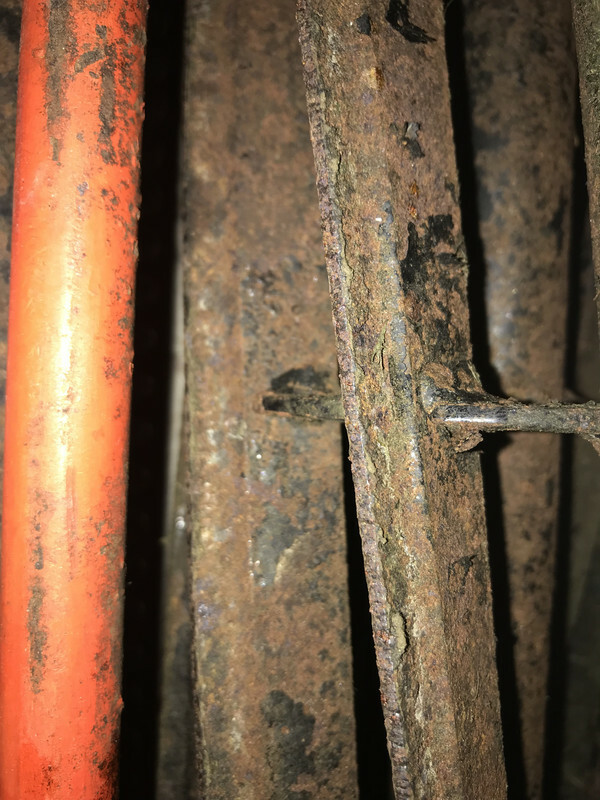 Since I don’t have a race puller or a tig welder it looks like I’ll have to get the old paint stripper heat gun out and see if the I can get the outer race to fall out. Last edited by Jdaniel611 on Tue Dec 11, 2018 3:20 am, edited 1 time in total. The Outer race is removed. 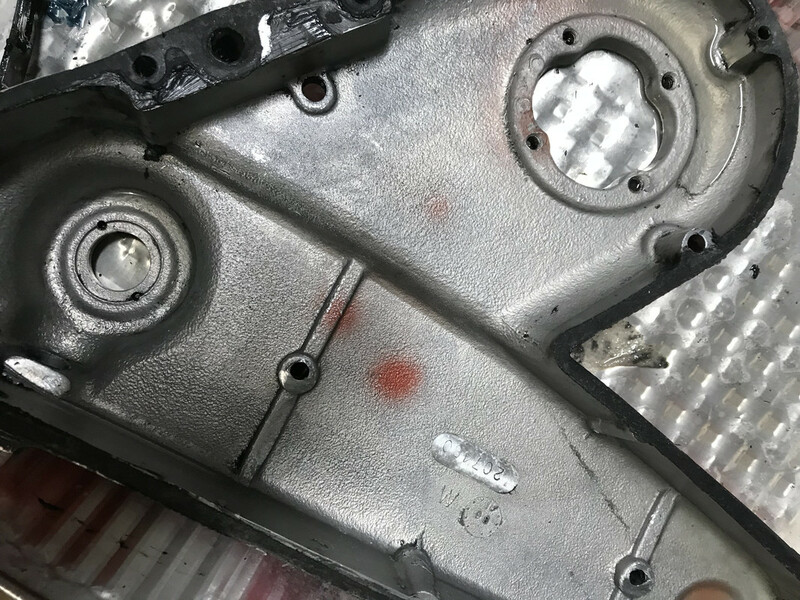 Heat from a heat gun always does the trick for easy removal without damaging the casting or seat area. How to do it? 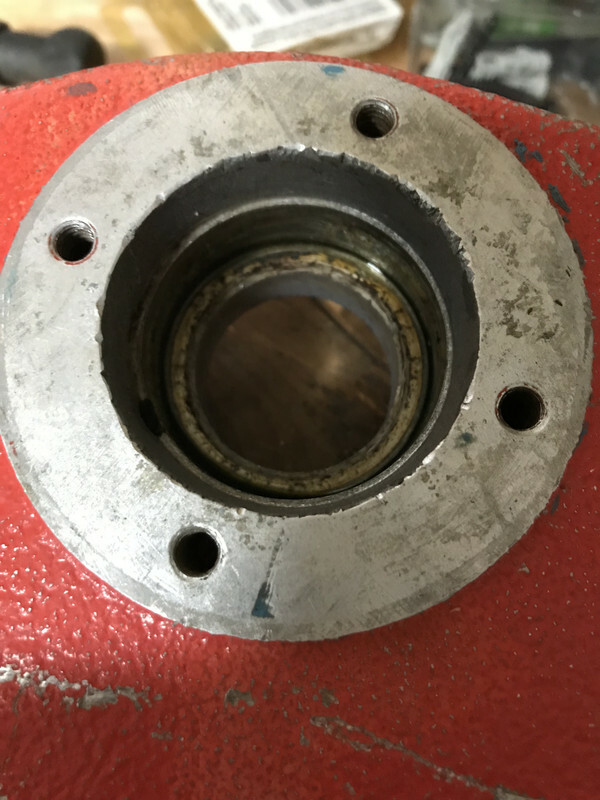 Heat the surrounding area up to about 130 degrees and with a little tap out the bearing or race will come. 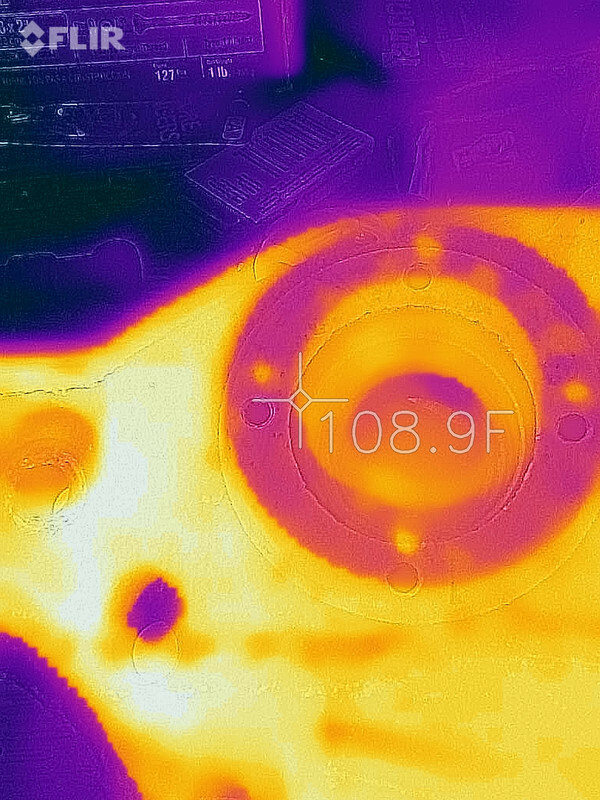 A lot of people say 230 but that’s really hot and at that temp the part should just fall out. 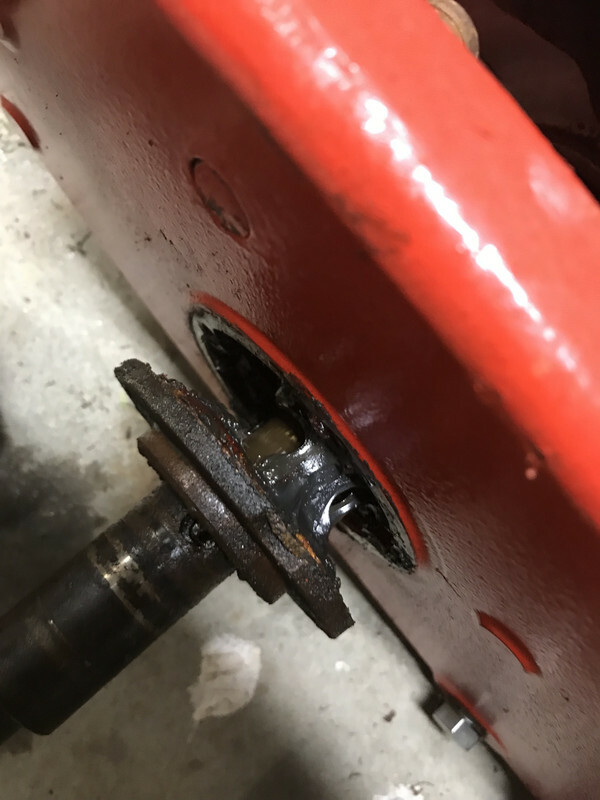 Please remember with any cast aluminum part you should never try to drive or punch out a bearing as tolerances are very tight and you will damage the seating area. 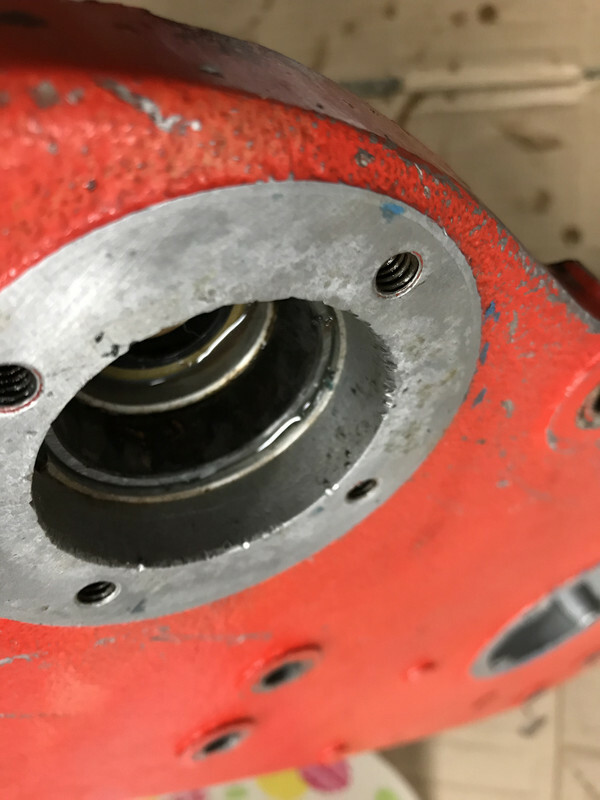 This is the opposite with cast steel parts, a puller or punch will work just fine as long as you don’t need to reuse the bearings. Interesting removal! I probably would have used a dremel to cut a deep slot and a chisel to crack it. Lawn Size: 59,000 square feet. Me Three! Very interesting project. 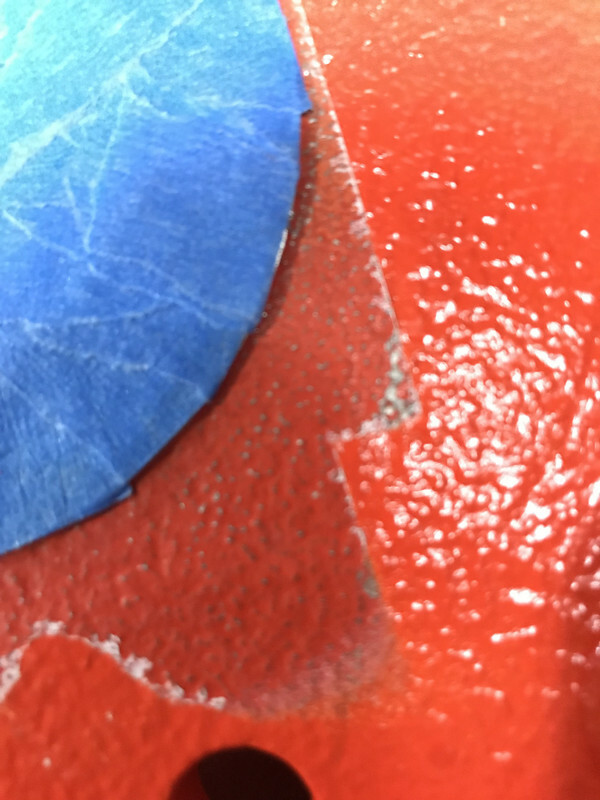 I absolutely adore my 1800 watt heat gun. Extemely useful tool. I have snagged extra ones to make sure I always have one not too far away. Great for putting heat shrink on wiring too. Last edited by gene_stl on Fri Dec 14, 2018 11:30 am, edited 1 time in total. A small update. 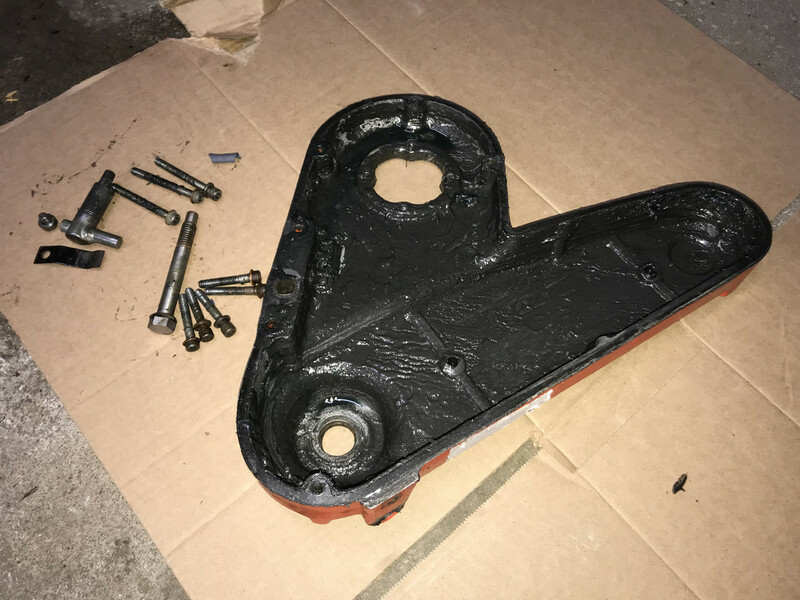 All the hardware has been degreased and going through rust removal now. 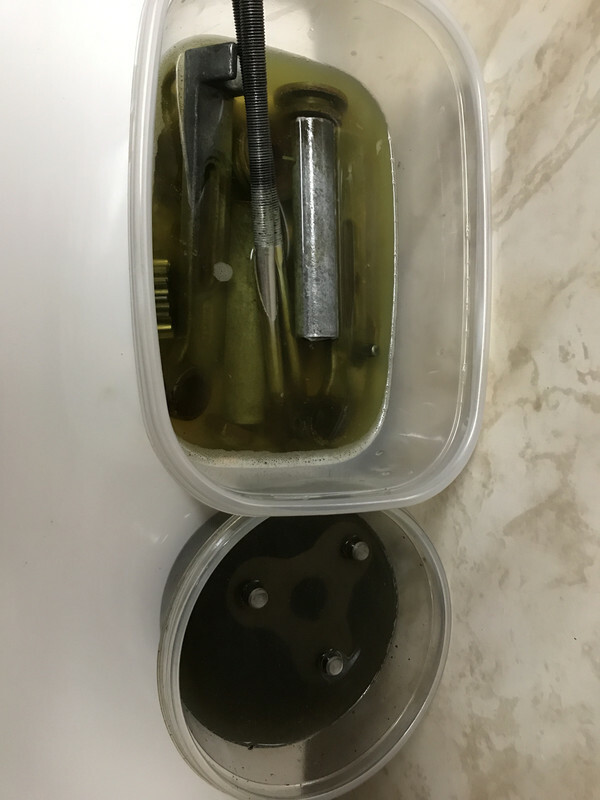 I found soaking the parts in 10:1 LA Awesome overnight makes the grease just wash away in warm water. 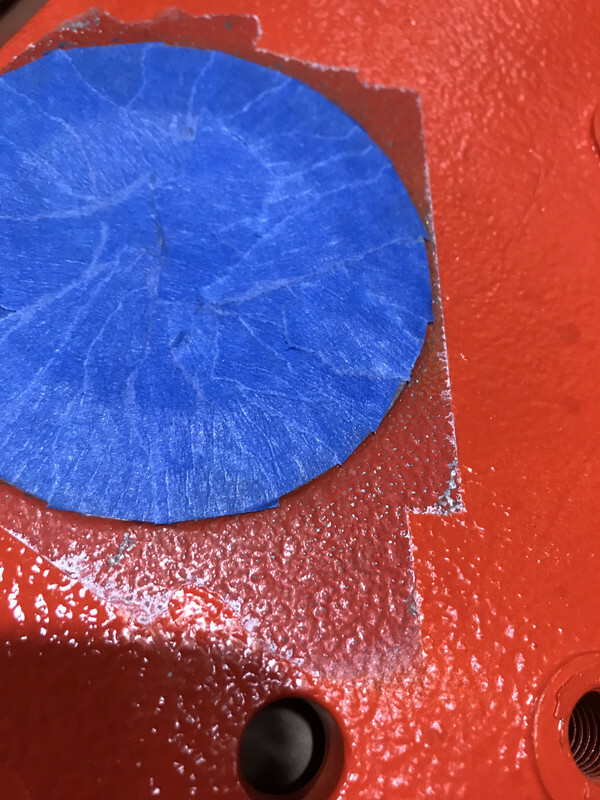 Then the hardware is put into evapo-rust for about 12 hours. I did find some hardware that needs to be replaced. Once this is complete I need decide if I will nickel plate all the hardware. Last edited by Jdaniel611 on Fri Dec 14, 2018 8:34 pm, edited 1 time in total. Well I’m back at this now. Holiday breaks go by way to fast with kids and it feels like you never get anything done. I did some sanding and prepping for the primer and finish coats. What are your thoughts of the colors below. 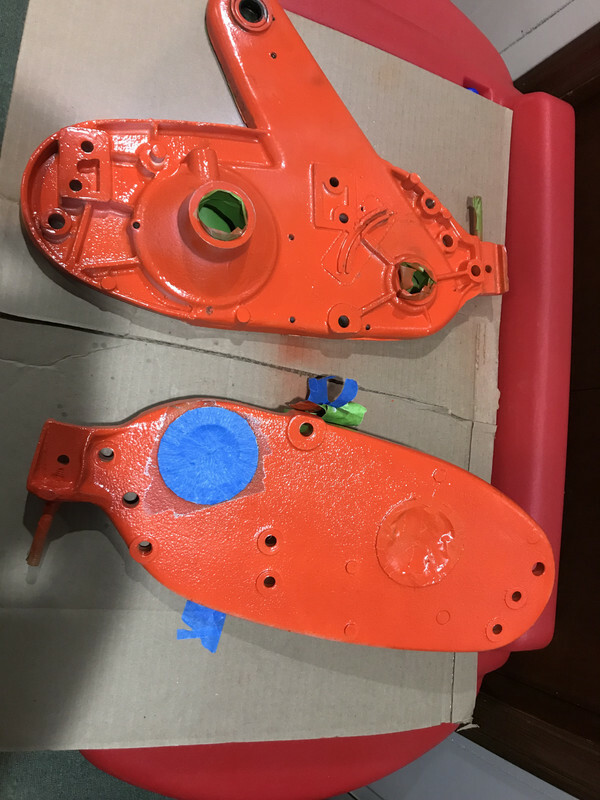 I feel like the final color looks more orange then the redish orange of the original color. I feel like I picked the wrong Persian Orange. 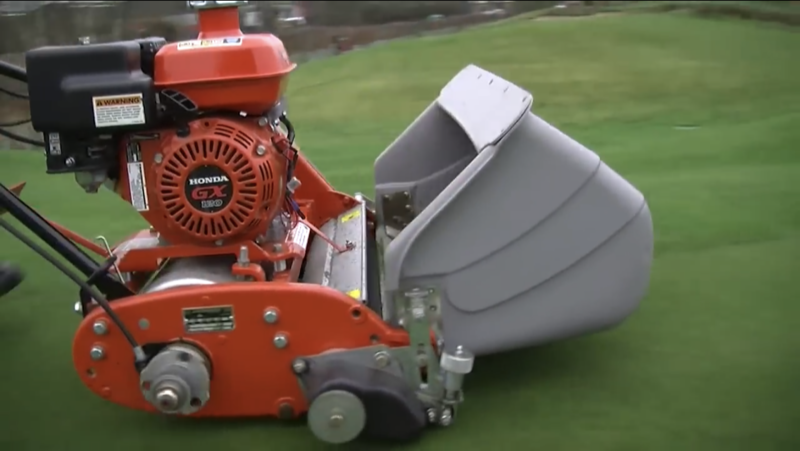 I know Jacobsen has two versions but I stayed with what R&R was selling, thinking it would be the right orange.